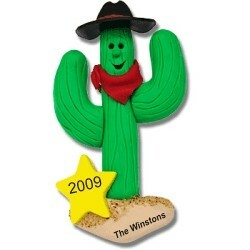 Whether you live in the West or just visit, our western ornaments are designed with the western lifestyle in mind. 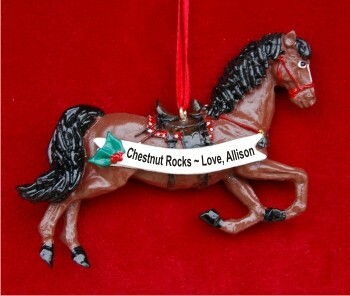 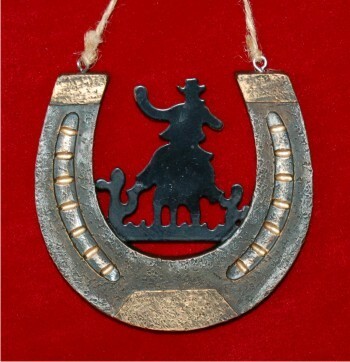 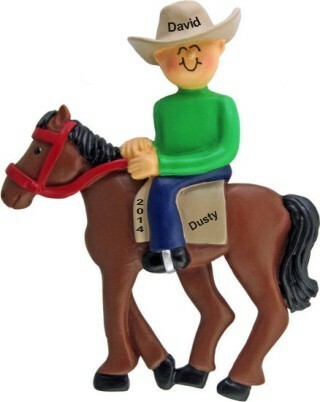 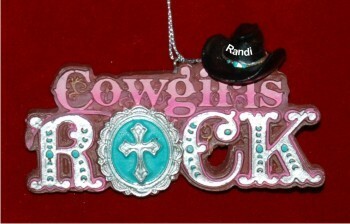 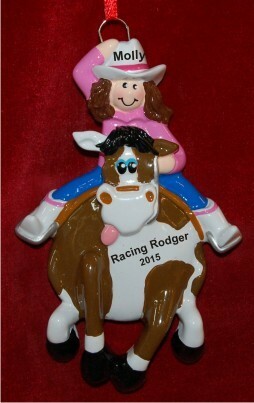 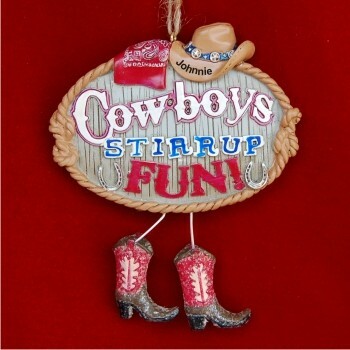 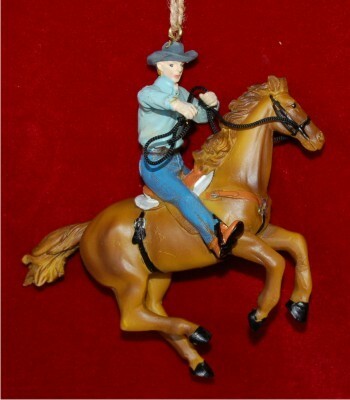 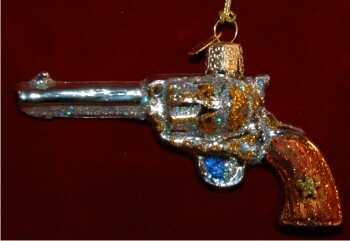 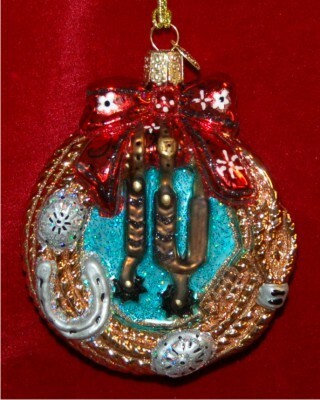 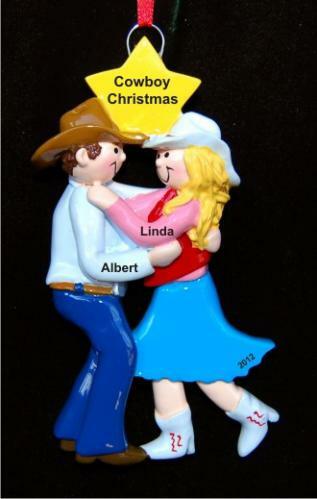 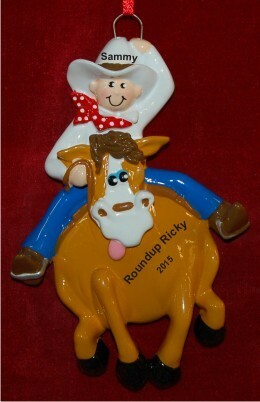 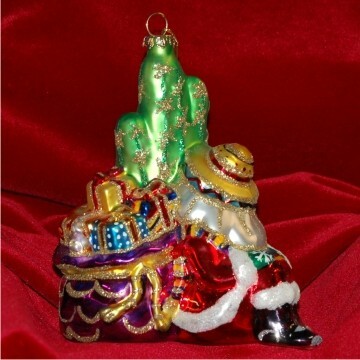 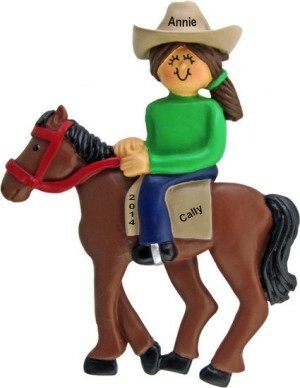 We offer cowboy ornaments and cowgirl ornaments for rodeo fans young and old. 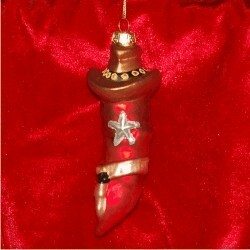 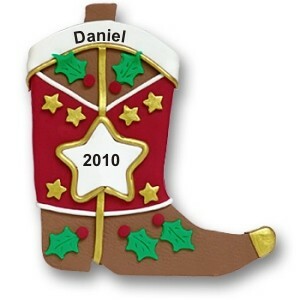 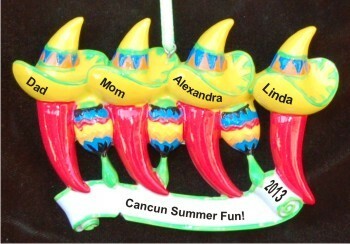 We offer a western boot ornament in several styles suitable for just about anyone. 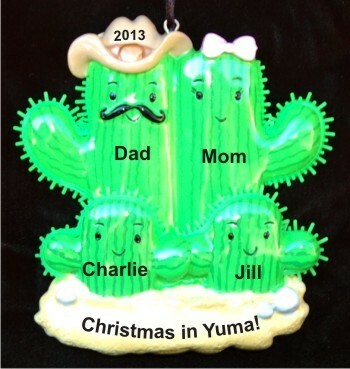 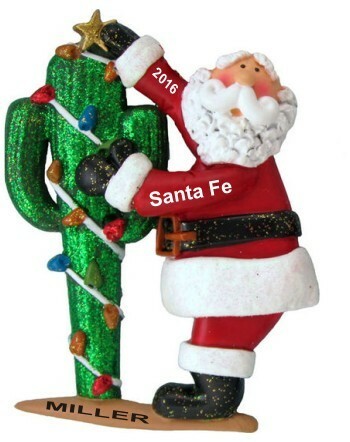 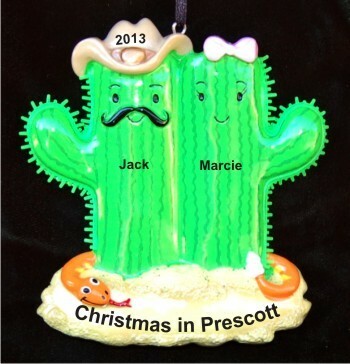 And for those living in Western states, we offer a personalized western-style family ornament that features a desert cactus for close family or friends. 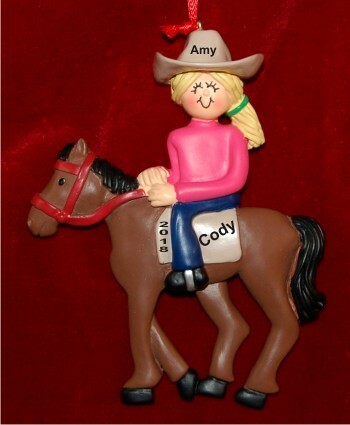 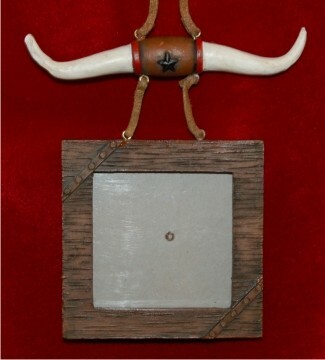 In addition to typically Western icons like the boot and cowboy hat Christmas ornaments, you'll find Western frame ornaments where you can insert a photo of your favorite young cowgirl or cowboy. 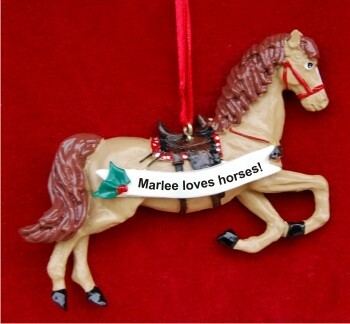 Each of these ornaments where noted arrive in our classic black velvet bag, ready to make a great Western personalized Christmas ornament gift.